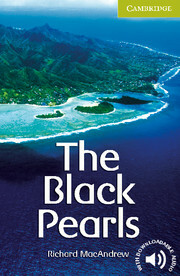 Rarotonga, in the beautiful Pacific Cook Islands, is the setting for a daring robbery. When master-thief Wolfgang Peters arrives on the island, Inspector Janet Hunter of the New Zealand Police is waiting for him. Will Peters manage to escape justice once again, or will Hunter and the Rarotongan police catch him?